10 Reasons Why Rio de Janeiro is Awesome! Many times on my travels I have found there are cities that are hyped up to be something extra-ordinary, extra special, something spectacular, only to get there and feel disappointed because it just didn’t live up to the huge promotion it was given. I expected this to happen in Rio de Janeiro. I expected it not to be as good as I had imagined. I arrived in a bad mood thinking it wouldn’t be everything I wanted it to be. I was wrong. It was better than I imagined. I genuinely love this city and for that reason I thought I’d share with you 10 reasons why I think it’s awesome! 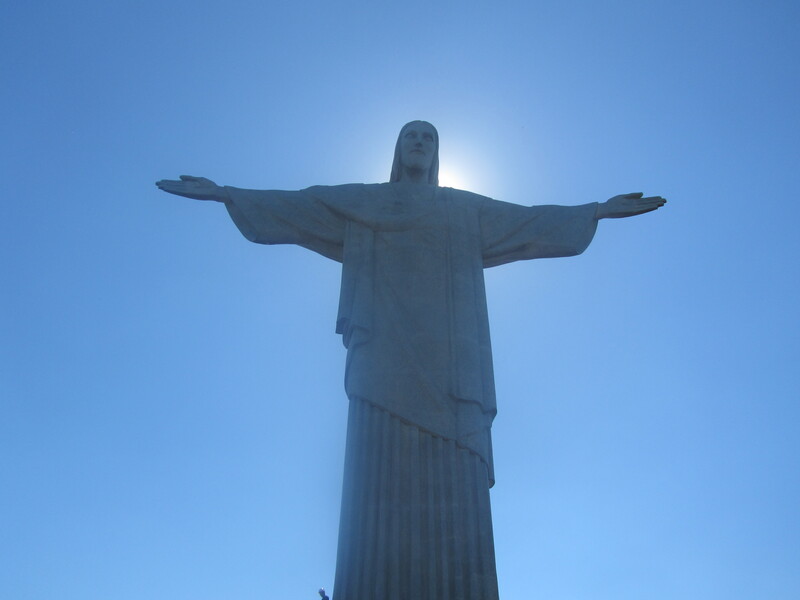 I hope it makes you want to visit Rio if you haven’t visited already! Usually I hate busy beaches. As a self confessed introvert on my travels I like my own space, and in particular I like empty or near-empty beaches. It’s only then I feel I can enjoy the sea views and the cusp of a wave to its full extent. However, even on an extremely busy weekend, walking along Rio de Janeiro’s most famous beaches – Copacabana and Ipanema – I couldn’t help but be over-awed by the stunning coastline landscape here. Particularly in the case of Ipanema (see me pictured at Ipanema beach above), despite the huge crowds of people you just couldn’t deny it was an incredible coastal view. You could definitely under stand the popularity and why these beaches are known the world over. One of the things I was most impressed with in Rio was the strong presence at the International Airport and major tourist sites of tourist information points and people handing out free city maps. Particularly at the airport I think I passed around 3 separate tourist information desks, one of which you passed before you’d even collected your hold luggage. Something simple like this made it so much easier getting from the International Airport into town by bus and it was a small yet reassuring sign that Rio is ready for the World Cup in June despite its recent troubles. I’ve only ever had good experiences when I’ve met Brazilian people on my travels around the world. They just seem to be friendly and sociable by nature and my time in Rio de Janeiro was no different. Every time I asked for help or directions people always seemed happy to help. When I was sitting in cafes on my own local people would just come up and talk to me even though I was a complete stranger. If there wasn’t enough seats in a restaurant people who’d never met each other before would just squeeze up next to one another and chat while they ate. Usually the big cities are the places where people can often be less friendly but I personally did not experience this in Rio de Janeiro. Genuinely, everyone was really nice to me. The place just had a cool vibe and I loved hanging out with the local people here. Açaí is a non-alcoholic berry fruit drink that you drink/eat with a spoon. The Açaí Palm (the plant which the berries come from) is native to Central and South America but is particularly popular in Brazil. 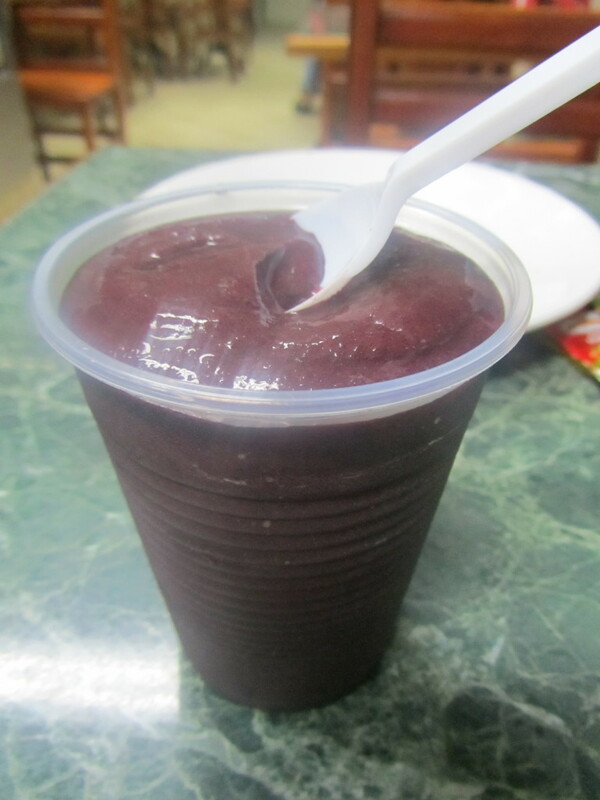 I personally had never heard of Açaí until I arrived in Rio and so it was therefore a very welcome surprise! 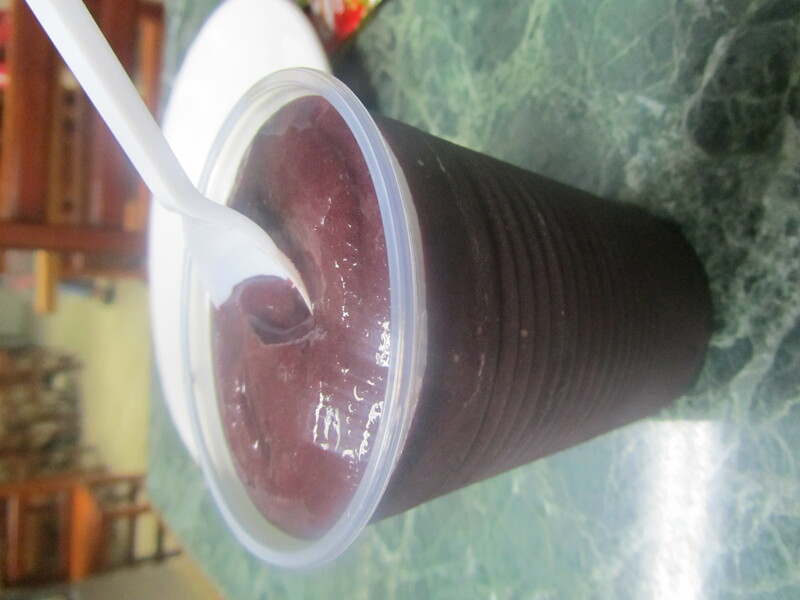 I actually think I got mildly addicted to the stuff while I was here, and considering how many juice bars there are in Rio, it was a good excuse to stop every so often and have a drink of Açaí when the hot summer weather here got too much. Rio de Janeiro is a party city. Even if you were like me and chose not to focus your activities here on partying so much, you can’t come to Rio and not taste a local Caiprinha in Brazil’s most famous city! A word of warning though – they do make them strong! Another popular activity to experience while you’re in Rio is to take some Samba lessons. You also may want to go see a Samba show. I personally recommend doing both, but I think you’ll also be hard pressed to find a Samba show in Rio de Janeiro that isn’t also a tourist trap. Not that there’s anything wrong with that as long as it’s fun and you have a good time, but personally I think for a more authentic experience it’s better to go learn a bit of the dance with a local qualified instructor followed by a trip to a samba club. You’ll find many of the hostels in Rio offer lessons in house or can arrange them for you (which is what I did in Rio as I had limited time to shop around), but I also heard good things about ‘Rio Samba Dancer’ school, a local company who offer group lessons to tourists. 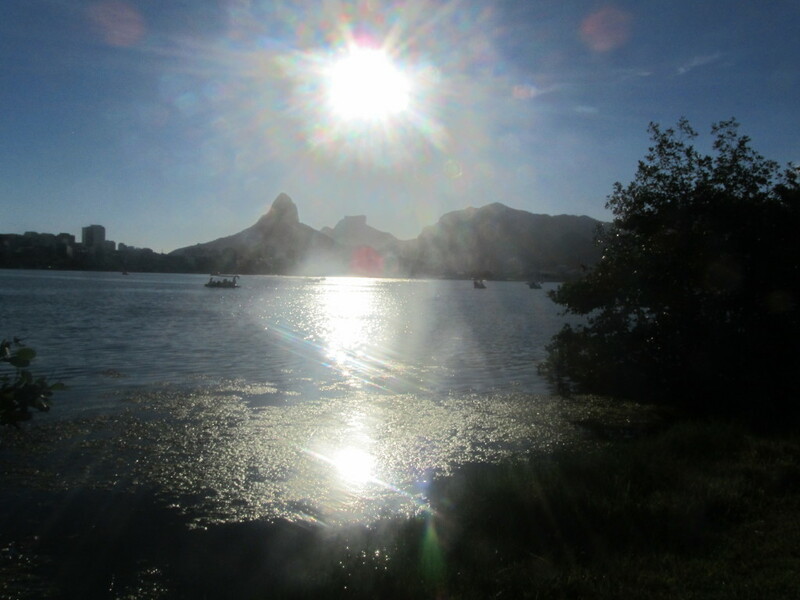 For me the Rodrigo de Freitas lake was one of the major visual highlights of Rio de Janeiro. A) Because the lake itself it very tranquil and beautiful, and B) because of the great views of the ‘Christ the Redeemer’ statue from the lake side. 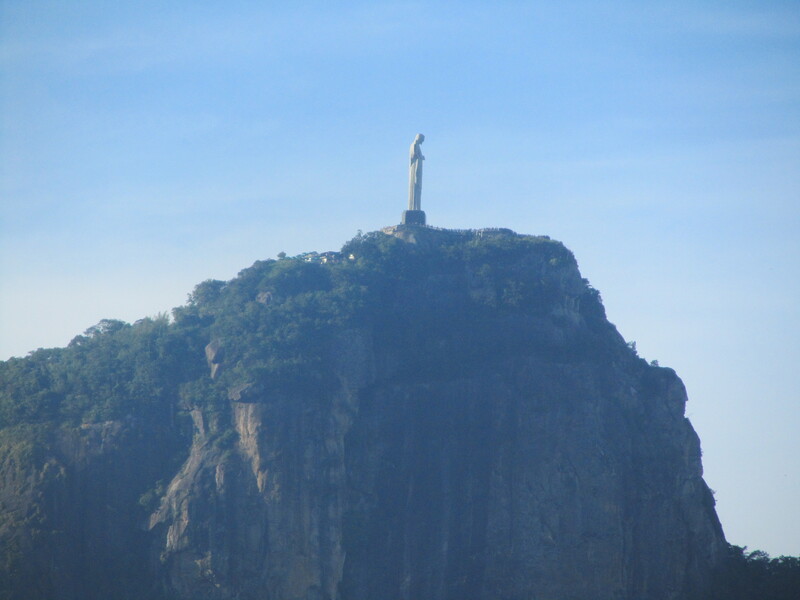 It’s the best place in my opinion to view Rio’s iconic statue from afar, but it’s also just a really nice place to visit on its own if you’re chilling out on a sunny day or want to go for a bike ride. You’ll also meet a lot of local people here on weekends out cycling or having lunch with their family. 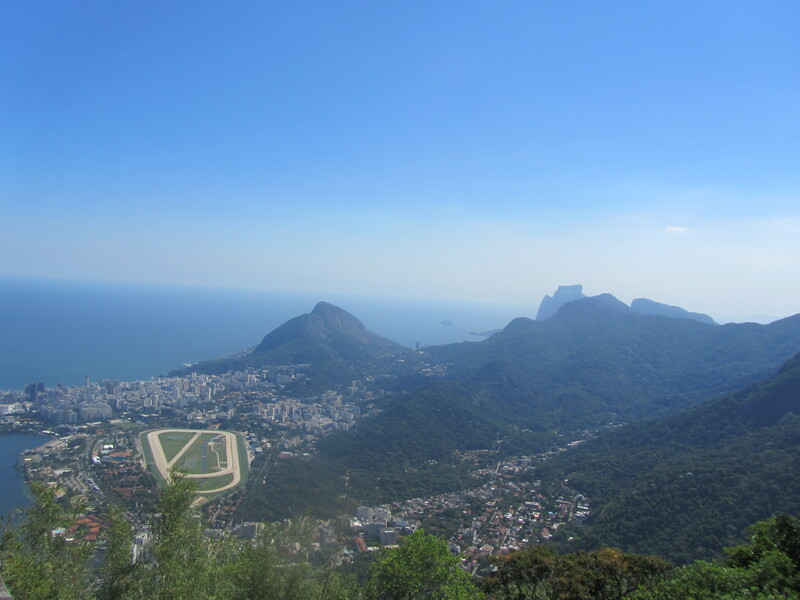 Again, another great spot for epic views of Rio de Janiero! The Pão de Açúcar is a double cliff/mountain top and cable car situated on the coast in between Rio’s Botafogo neighbourhood and Copacabana. There are two cable cars that take you to both cliff tops and allow you some stunning views of the city. There is also more room to move than you’ll find when you go to visit the Christ Redeemer statue, so may allow you some better photos of the city. However, this attraction is also rather pricey at 60 Brazilian Reals for 1 adult – more than what it will cost you for much more famous attractions in the city! Still, the views are incredible. Rio never really gets cold. Certainly not by Northern European standards where I come from. When I was there a few weeks ago most days were around the 30 ºC mark, but on a particularly hot summer day it can reach as high as 40 ºC. In winter the weather here is usually around 20 ºC to 25 ºC (what an average summer would be like for me in Scotland!) Although you can find it dips down to as low as 15 ºC on a ‘cold’ winter day here. Essentially Rio has the perfect climate for a visit any time of year. 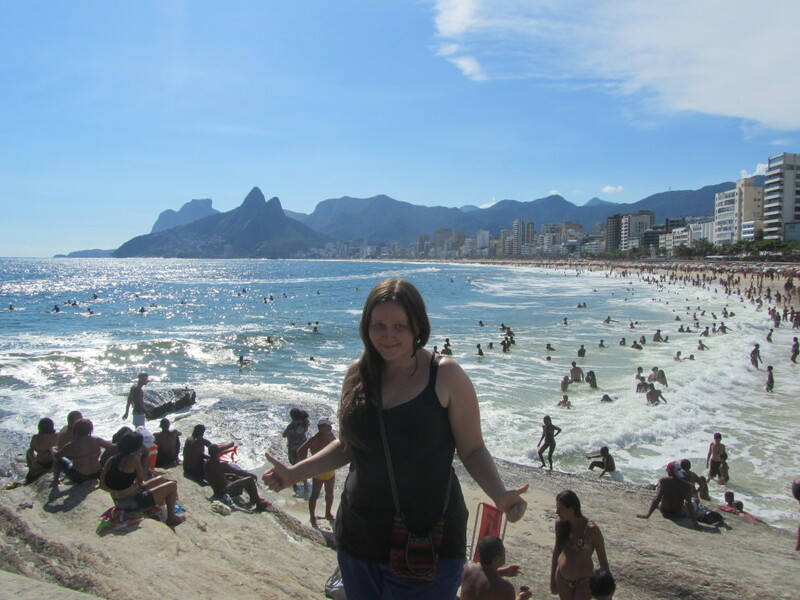 – I really loved Rio de Janeiro during my time here. I remember arriving in Rio feeling a little down and in a bit of a bluesy mood only to immediately feel much more cheery and uplifted as soon as I stepped out into the city. It’s just one of those places that has that kind of affect on you. It’s beautiful, sunny, there’s lots to do and the local people are friendly. The only thing I wished for was that I had more time here. It’s certainly on my agenda to make a return visit here at some point in the future. It really is an awesome city! Rio is awesome!!!! Glad you liked it too!! We’re planning on going back for the world cup! Can’t wait!!! So glad I’ve seen this post – going there for the first time very soon and can’t wait! This post has made me even more excited and I didn’t know about the Acai drink so will definitely keep my eyes peeled for this! Great post! Loved my trip to Rio last year too, totally agree with your choices. Definitely one of the world’s top cities! I’m brazilian and I live in São Paulo that is a kind of closer to Rio. Before this post, I’ve neve feel like visiting Rio. Now I think about going to Rio and check if the city is all that you’re saying. That’s good to hear Danilo. I really hope to come back to Brazil one day and see more of both Rio and the rest of the country!